Today I wanted to do a different type of blogpost that I haven't done before. 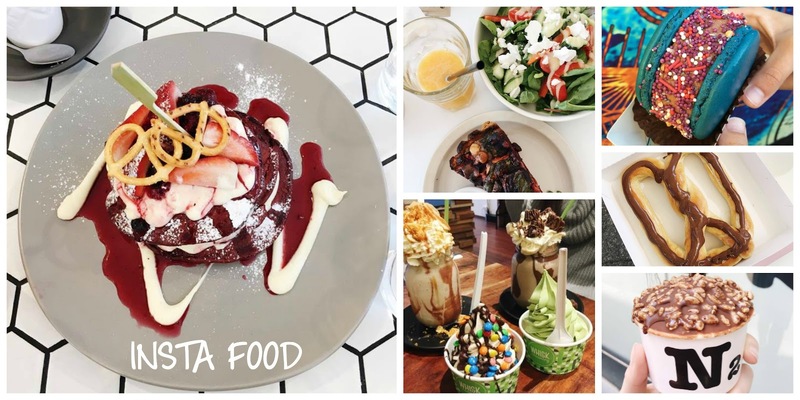 I wanted to share with you some cafes that I have found on Instagram and that I've visited, The Real Life Insta Food! I'll be sharing my honest review on these few places, to help advise you in your future endeavours. 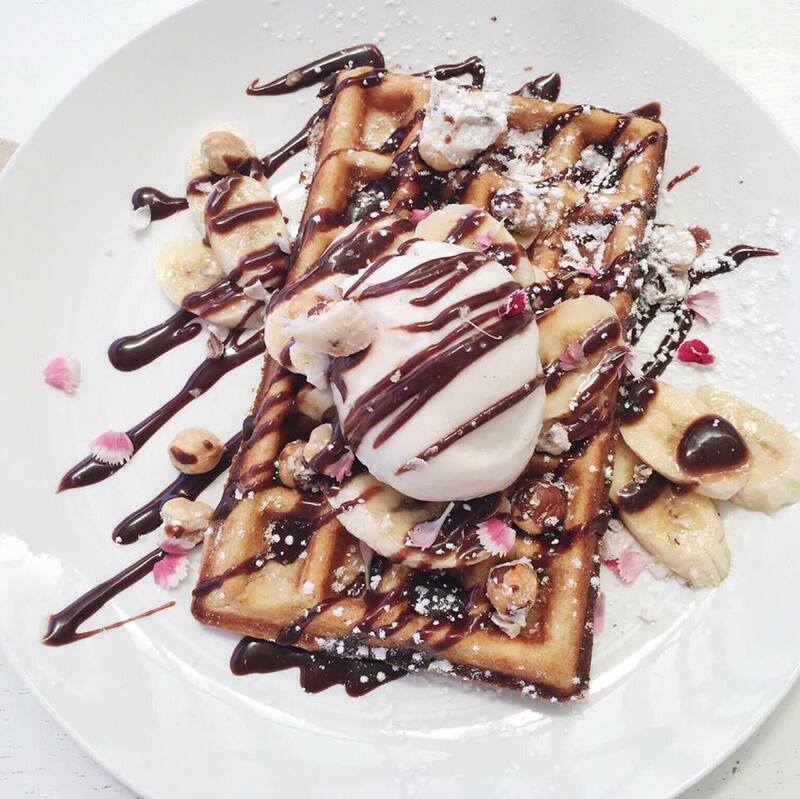 My main reason for going to these cafes are their very Insta worthy food and interior...and hunger. These are so far the places I have visited, a majority of them are in Perth (as I live here) and surrounds while the few others towards the end are from my trip last year to Melbourne. This is sincerely an Insta made me do it kind of moment. I hope you enjoy reading & please feel free to leave suggestions on places you love! Disclaimer - I don't mean to offend anyone with my reviews. Photos & food reviews coming your way! Located in Subiaco (151 Rokeby Rd, Subiaco WA 6008) This place is beyond amazing! It is super fun to adventure here with your friends. You'll spend most of your time attempting to choose something off the menu. 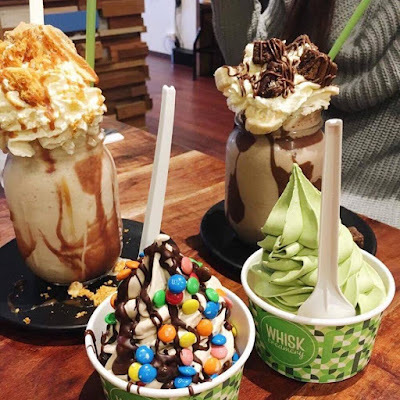 I have now visited Whisk twice and I will definelty be returning in the future. Rating: 5/5 - friendly staff, big menu which can also be customised and it is also close to the train. The menu items I have had so far are Cronutella - Cronut (Croissant and doughnut with a Nutella Milkshake) and Golden Crunch - (Salted caramel milkshake, ganache, honeycomb, caramel sauce and a homemade Gaytime ice cream). One of the first Insta cafes I visited, Babooska was an adventure to find and is located close to public transport. The overall cafe is very small with not much seating which is quiet disappointing, especially after getting lost. They are also only open till 2pm, so if you're not an early bird it is quiet a mission. 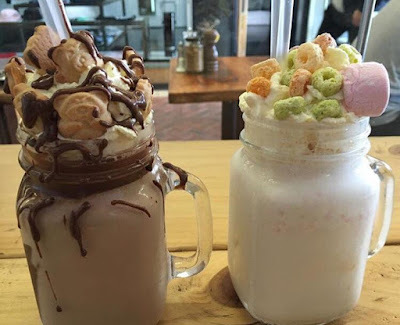 Nutella and Tiny Teddy Milkshake & Fruit Loop Marshmallow shakes. Rating: 3/5 - Slightly overpriced for such simple milkshakes and very limited seating let this place down. One of my all time favourite places, the most gorgeous interior with plants everywhere and I mean everywhere! They offer a large menu with breakfast, lunch and dinner available. 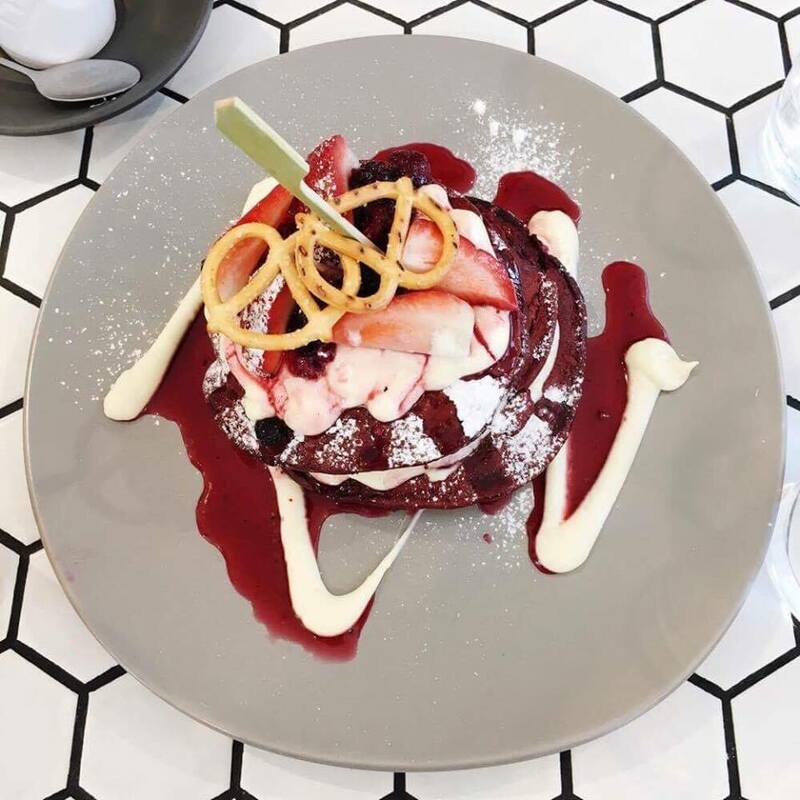 The food is beyond amazing, with these red velvet pancaked just one of the many meals I have experienced here. I've tasted both sweet and savoury and everything is super delicious. The velvet pancakes are incredible! and super photogenic. I also recommend trying their juices my absolute favourite is the 'Sunny Side up' juice. Rating: 5/5 amazing!! A must to visit if you are in Perth. The heart of Perth a baby pink coloured Sea container contains only the best pretzels you'll ever taste! If you love taking pictures of your food like me, you may die when you see how cute the boxes are. So be prepared! 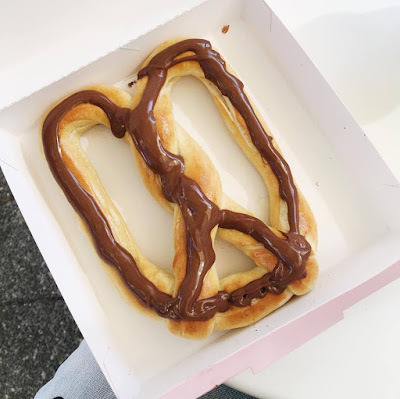 Nutella Pretzel (if you can't tell already I do love my Nutella). Nutella as you may already know is very messy but although it was covering nearly every finger it was indeed delicious. I would also recommend trying the classic cinnamon pretzel. They also have savoury if you're not a sweet person (but do those people exist?!). Rating: 5/5 - Close to public transport, super cute location & lovely to sit in the sun and eat. Only downside is that its more of a takeaway kind of thing with only about 2 tables to sit at, however their is a lot of public seating surrounding. Hummingbird sells a range of healthy food including juice and smoothies. 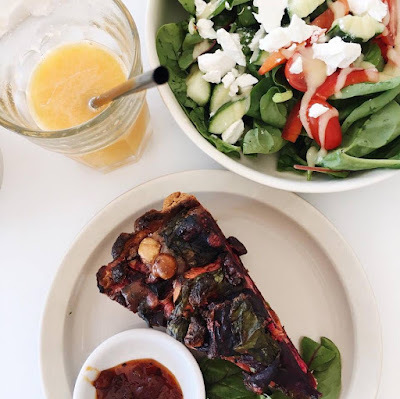 I went to Busselton earlier this year and we managed to eat at this place twice in one day! One of my absolute favourites on the menu here is the banana smoothie, its made from banana, coconut milk and water. It even inspired me to go home and buy the ingredients and make one. It definitely didn't turn out as good as Hummingbirds though. Rating: 5/5 Such a beautiful place, filled with plants and white decor and delicious food. Also has a large amount of seating. The Sweatbox cart isn't a cafe but instead a food van that visits markets in Perth and surrounds. I visited them when they were at the Beaufort St, Inglewood Monday Night Markets. 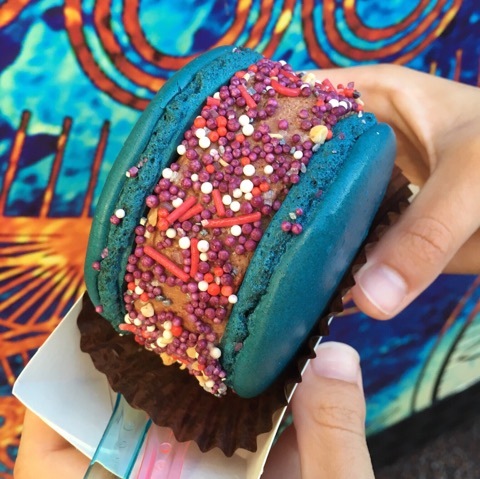 They serve delicious ice cream macaroons that are about the size of your hand. Although these aren't made and put together infrot of you, instead premade for the market - they taste amazing and look great in a photo ;). Rating: 5/5 Super tasty and they look so cute too!! Makes for a fun night out with friends and some amazing insta photos! The Beach Shack is located at (Hillarys Boat Harbour Southside Dr, Hillarys WA 6025). I've known about the Beach Shack for a long time and didn't necessarily find it on instagram but it's definitely insta worthy. They have a massive menu and everything is so yummy! One of my all time favourites are these waffles The Nutella and Vanilla Cream waffles - the vanilla cream is to die for and yes yet another Nutella item! Rating: 4/5 - Great location, wide range of food and cute interior. However they did change the interior in some of the cafe and I'm not a major fan of the new colour scheme but food is AMAZING! The Raw Kitchen is definitely true to its name, this cafe is perfect if you love healthy food. They are known for their vegan and raw foods. 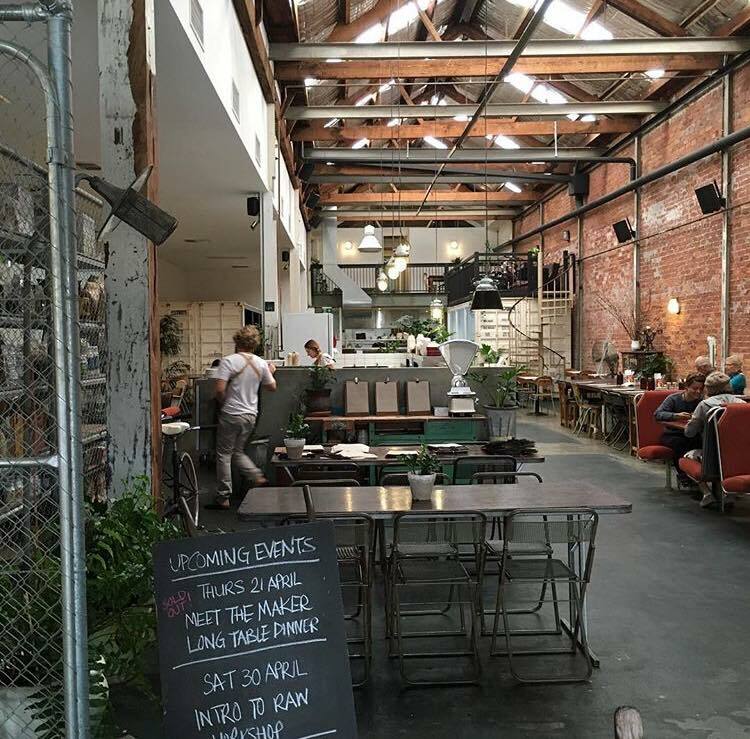 During my visit to the Raw Kitchen in early 2016 I fell in love with the interior, its exactly like a picture you'd see on Tumblr - warehouse, plants, exposed brick and more. But unfortunately the drinks are more on the expensive side but because I wanted to make the trip worth it, I ordered a 'Blue Moon' - blueberries, lavender frozen banana, agave and almond milk - unfortunately it tasted exactly like a blueberry smoothie that I could've whipped up at home. Although my experience wasn't the best I will in the future return. Rating: 4/5 - I'd like to return in the future and try more of the menu. Love the interior and location. Also love how sustainable they are and how much they care about the Environment - Metal straws in use! How Cool. Located at (5 Degraves St, Melbourne VIC 3000). One of the best places I have ever been! The best Doughnuts EVER! Doughnut Time was a major highlight to my Melbourne trip. There are so many flavours to choose from, that regularly change. Which all have such creative names, they'll definitely make you laugh. Rating: 5/5 - Perfect place to go with friends & the most amazing doughnuts!! Unfortunately no seating - Takeaway. Located at 18 Sutherland St, Melbourne VIC 3000. Melbourne is by far my favourite place so adventuring down lane ways to find cute lil places is a must, so make sure you wander passed N2! You won't regret it! 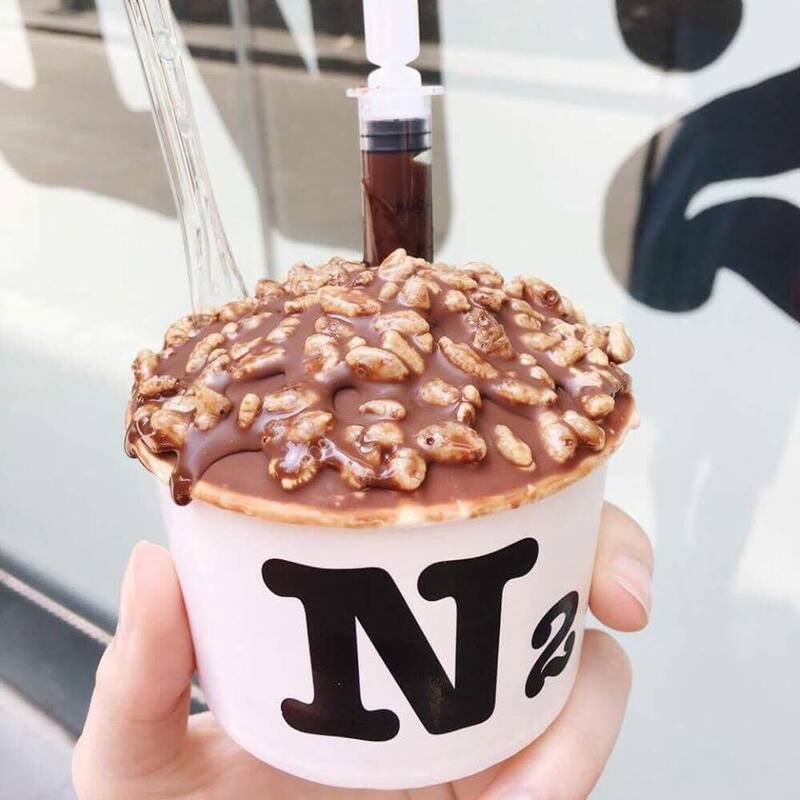 N2 Gelato is one of the coolest food places I've been, they make gelato with liquid nitrogen! The N2 Gelato I got the Ferrero which has chocolate hazelnut gelato, chocolate top and ganache. The chocolate syringe was the coolest! Such a creative dessert. Although there is no seating, it's still an amazing place and a super cool experience. 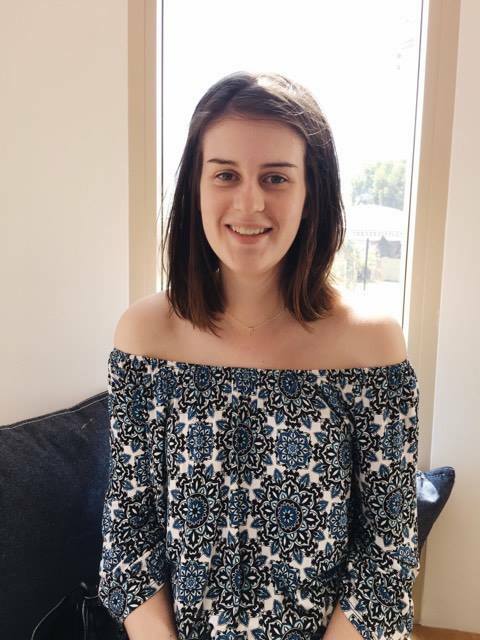 I hope you enjoyed reading this blog post! 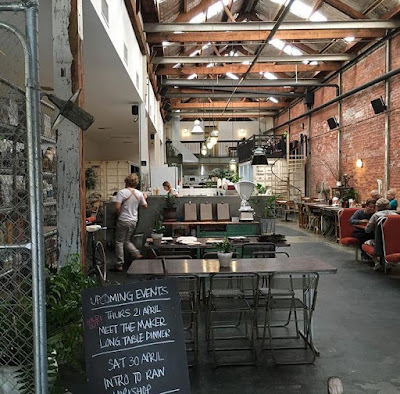 There are so many interesting and amazing places to eat in Perth & the rest of the world. There will most likely be a part 2 to this series in the future. But until then if you have any suggestions of places I should visit please let me know - either comment or message me on Instagram @kateemay.